They allow us to pick and choose between different cuisines like never before – an exciting mix of flavours awaits! We can now go from Japanese Gyozas for starters to an Indian Roti Wrap for main and finish with Spanish Churros without ever having to leave one place. Street food now accounts for over £1.2bn* in the UK and plays an integral role in setting food trends and providing a platform for independent businesses to thrive without the extortionate overheads that bricks and mortar demands. The whole ethos of street food encourages creativity to try new things and discover what consumers really want. 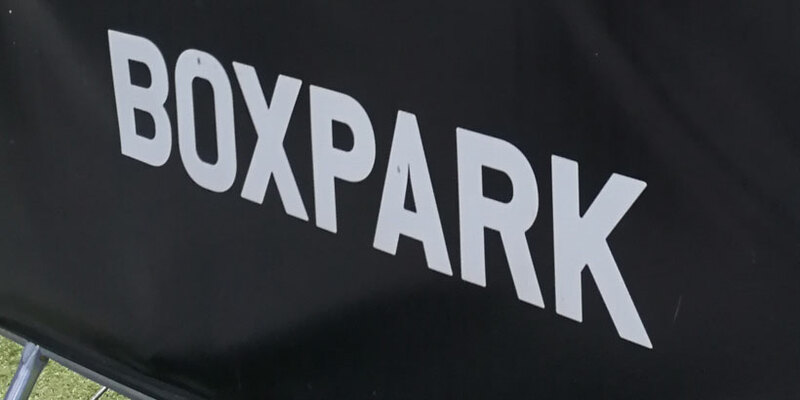 Open from 9am to 11pm, Pop Brixton is the perfect place to graze and try out a variety of exciting dishes including Baba G’s tandoori chicken nuggets and saag paneer naanwiches, jerk chicken roti wraps from Mama’s Jerk and Japanese gyozas at Koi Ramen. Sweet treats are covered too with Love Churros offering the Spanish classic and L’amuse Bouche cooking up delicious crêpes. Camden market is the place to go when you are feeling peckish. If you haven’t tried it already head to Yorkshire Burrito and try the whole roast dinner wrapped up in a Yorkshire pudding! For a Vegan treat Rudy’s Dirty Vegan Diner has you covered. Also on offer is Ji’s Taiwanese fried chicken, Lords of Poke Californian-inspired poke bowls and katsu curry in a bun at Katsu House. Celebrating the UK’s taste for global cuisines, the delights at the Southbank Centre Food Market include Indian vegetarian street food by Horn OK, Galeta’s Portuguese tarts, fresh Napoli pizzas from Crust Bros, and PAD + Sen offering a variety of Pad Thai options including chicken, prawn and tofu – delicious! Opening in 2011, Shoreditch is the original Boxpark and as the world’s first pop-up mall has paved the way for street food markets across the UK. From Bao Bao offering Taiwanese street food to the Breakfast Club serving fried chicken waffles, there are a host of exciting dishes available. Fancy a pie? Then head to Pieminister. After a steak? Better go to the Argentinian Steak, or if it’s Mexican you fancy give Chilango a try. 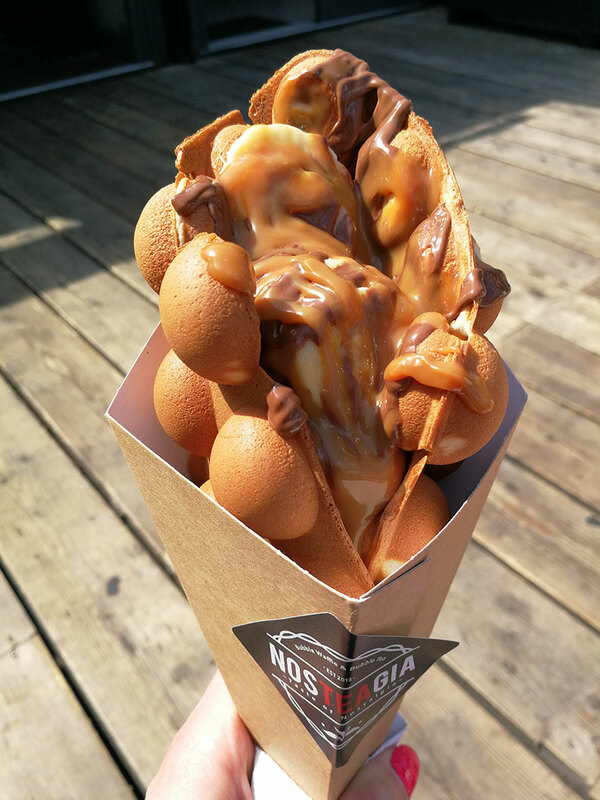 Save room for dessert if you can and head to Nosteagia for a bubble waffle – I promise it’s worth it! There are so many exciting options to try and I hope it has inspired you to try something different when you are next out and about.